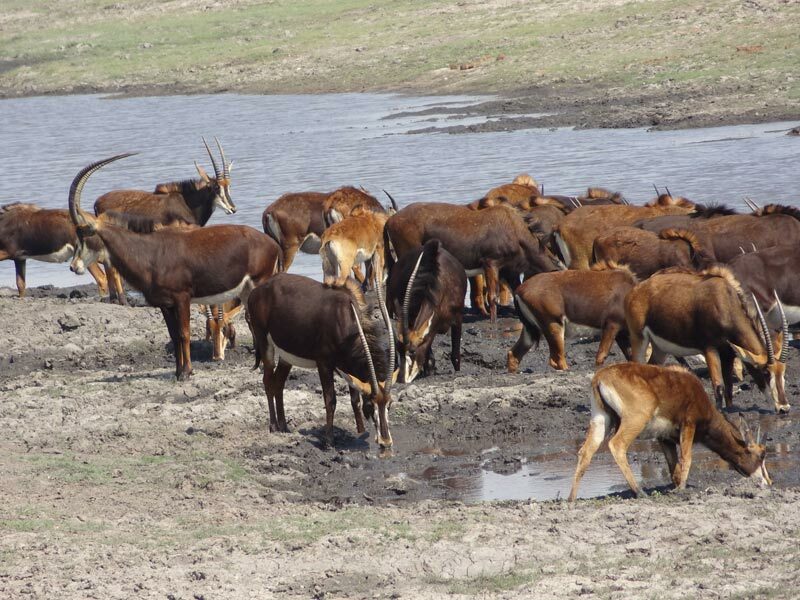 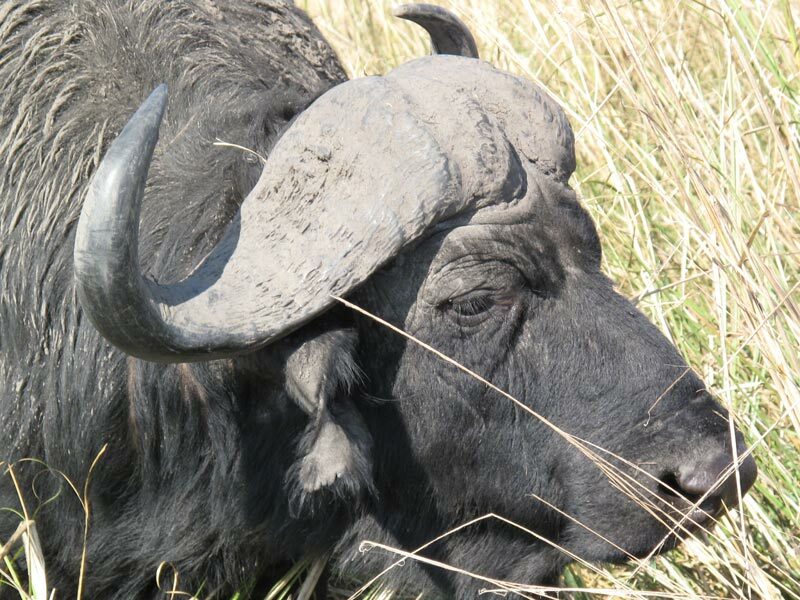 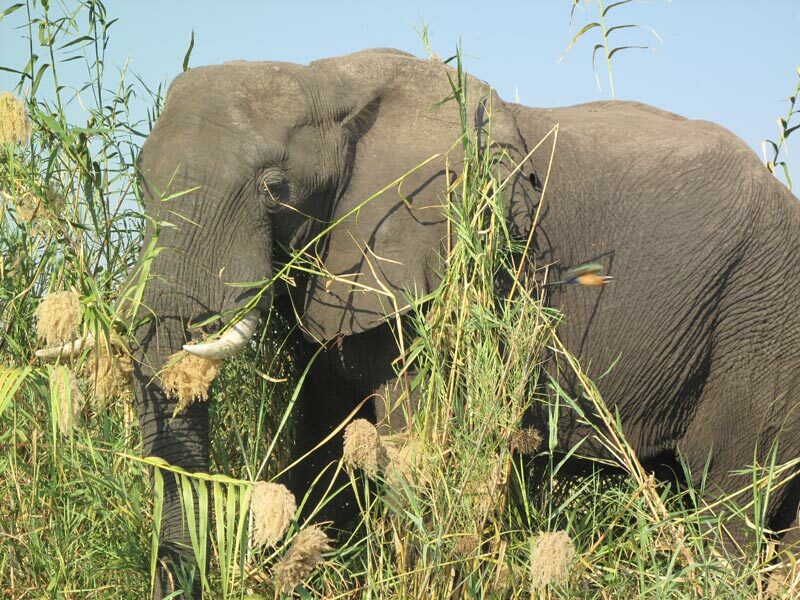 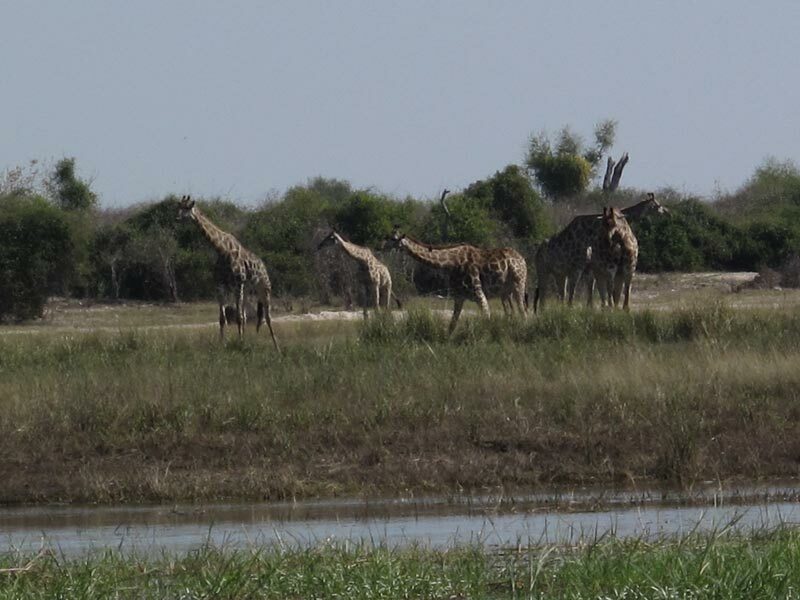 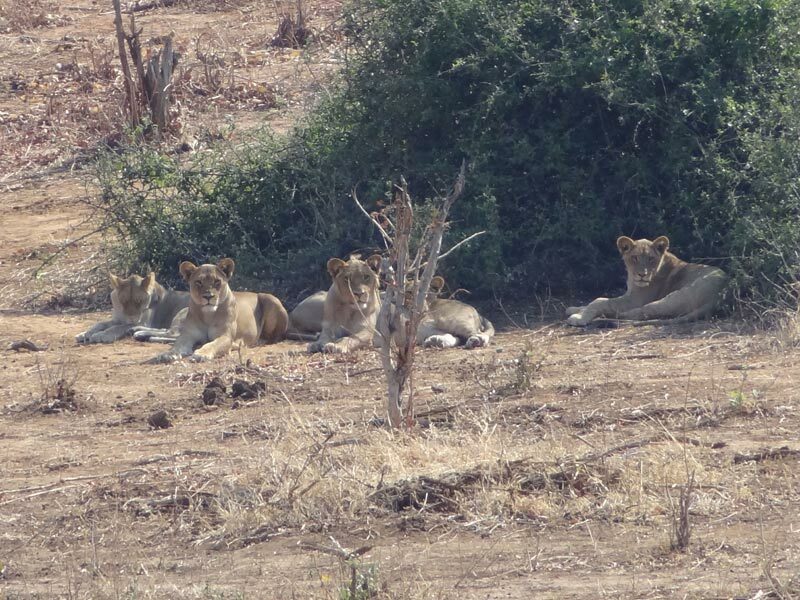 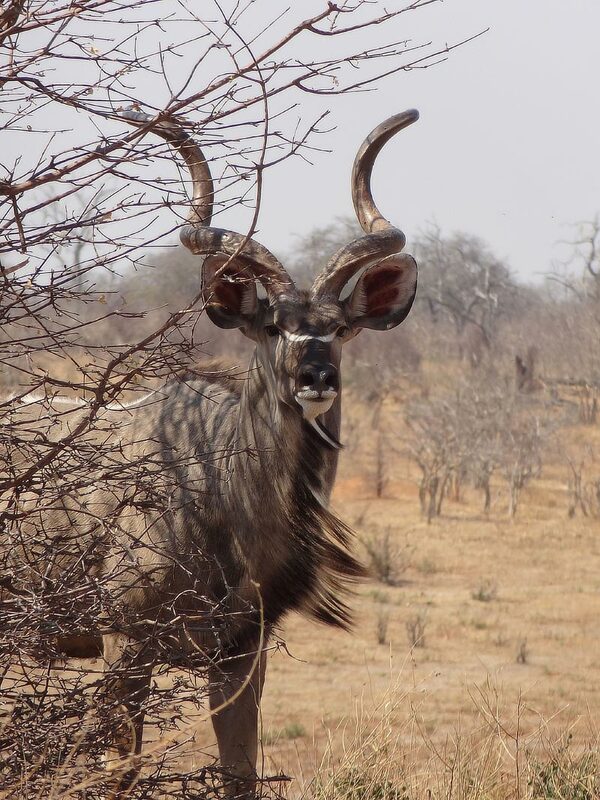 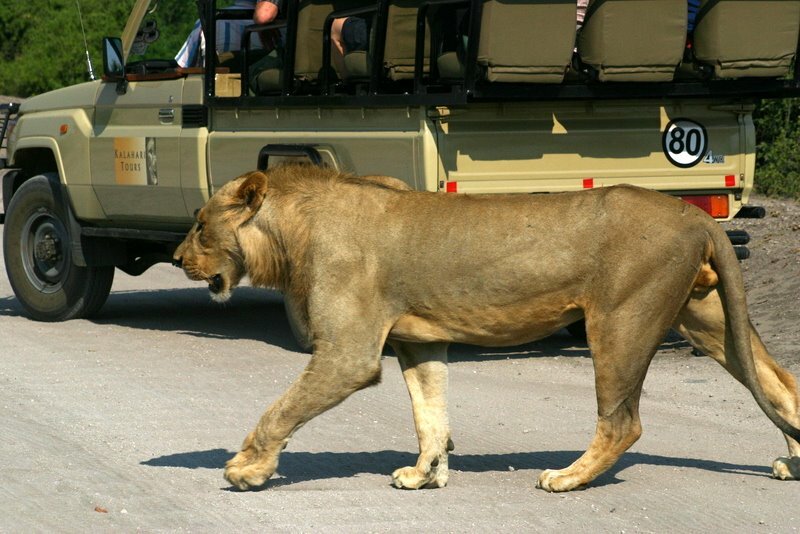 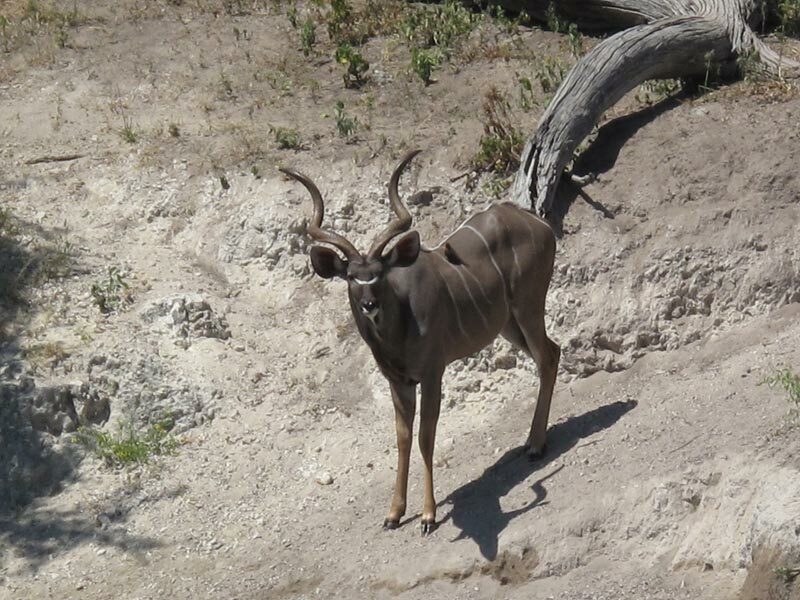 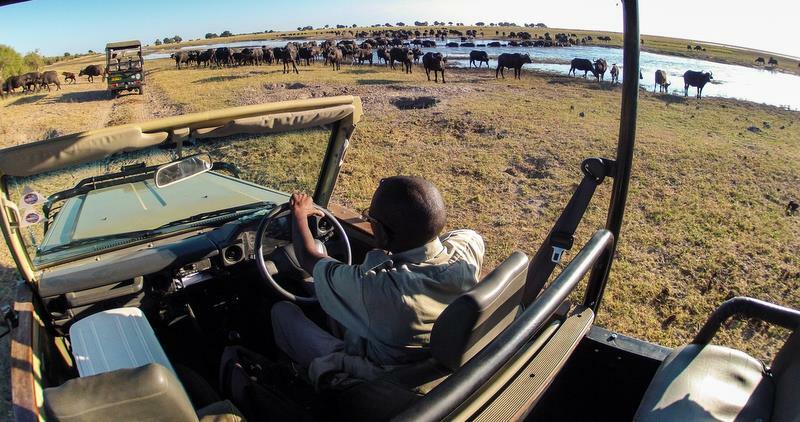 Half and full day Game Viewing excursions can be arranged on the Chobe River but it is an extra activity. 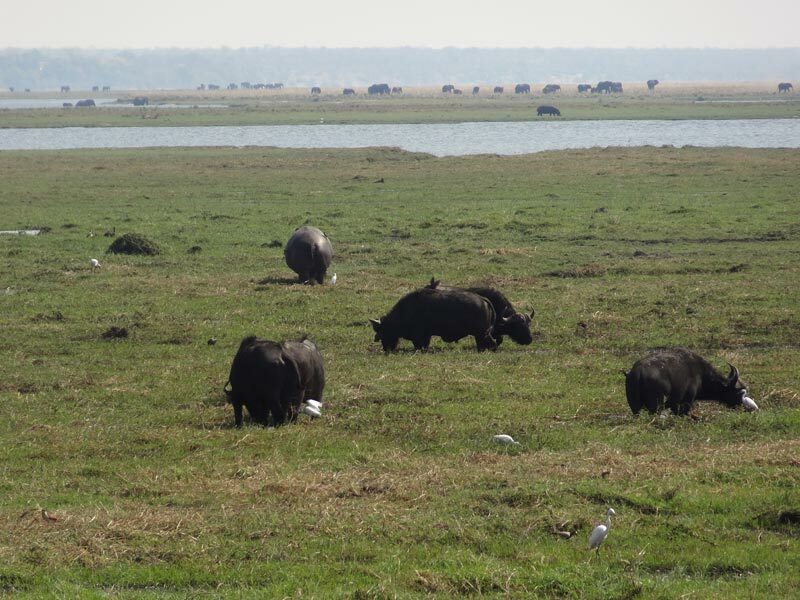 Herds of 300+ buffalo are not uncommon in these parts. 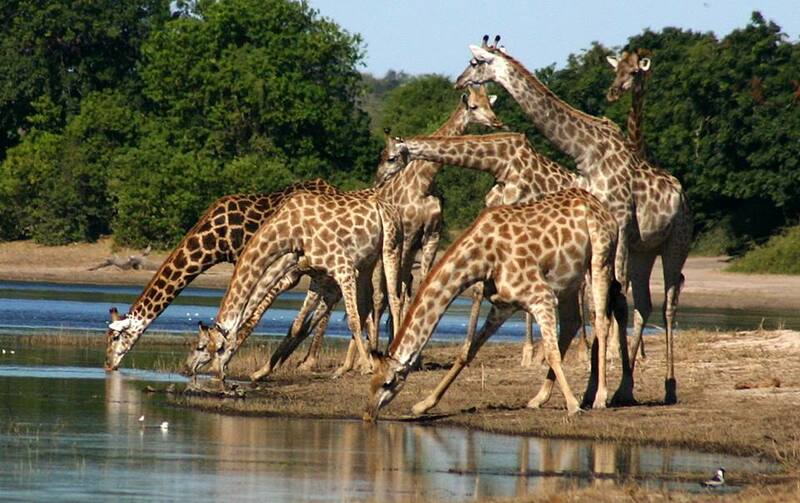 Leopard have also been spotted taking a drink on the banks of the river. 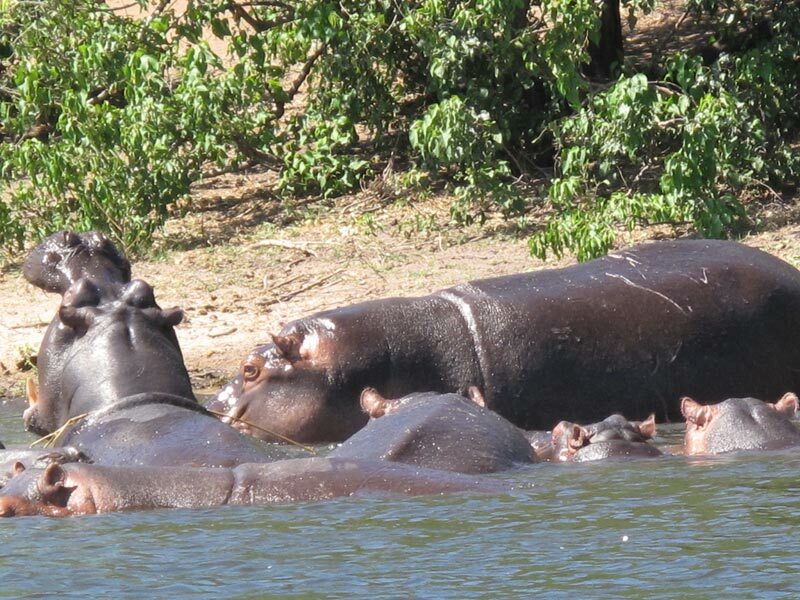 The Zambezi and Chobe Rivers are home to some of the largest crocodiles in Southern Africa and in cooler months you can see these impressive reptiles basking themselves on the riverbanks. 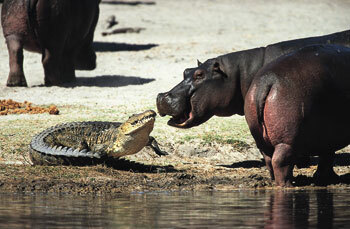 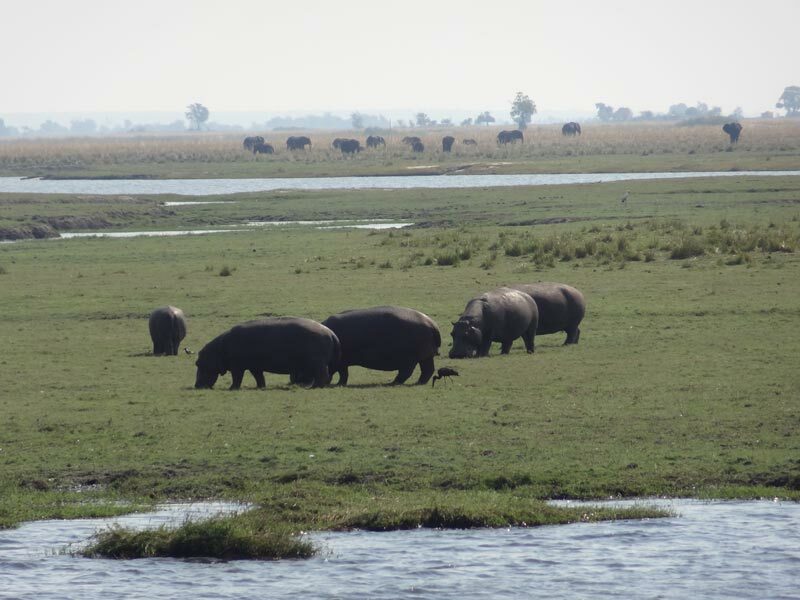 Hippo is also a common sight and you can even wake up to a Hippo grazing on your doorstep early in the morning. 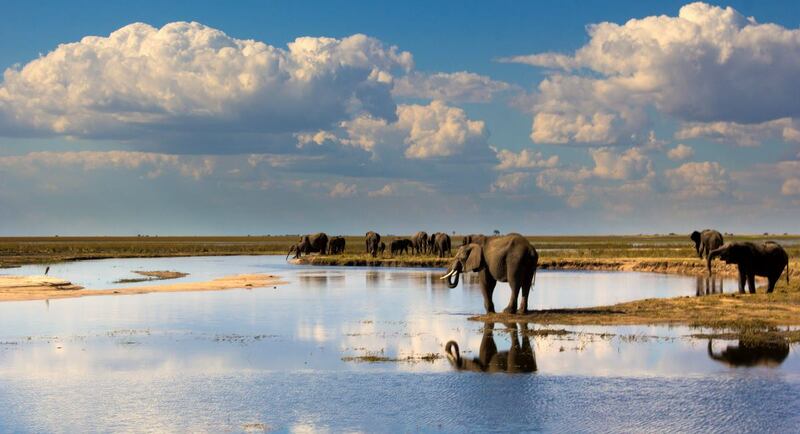 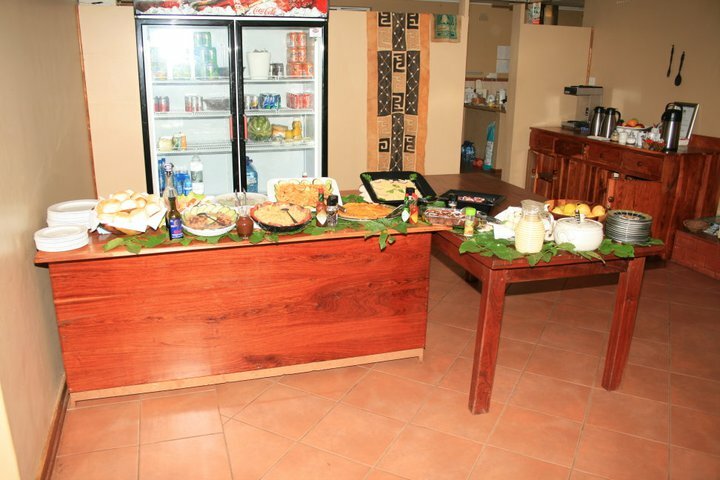 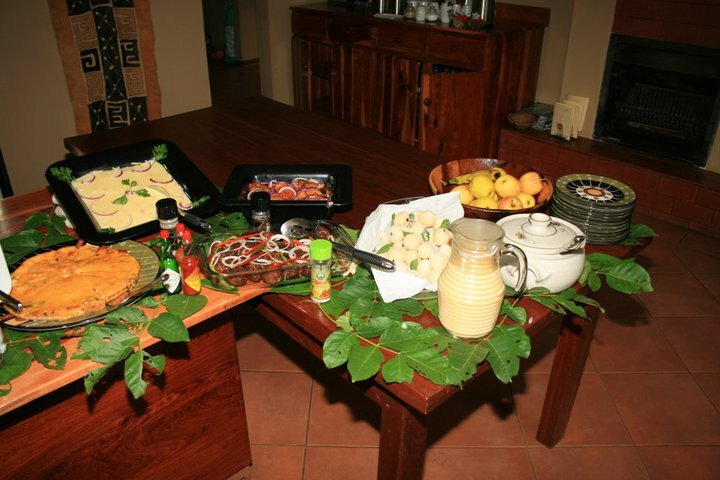 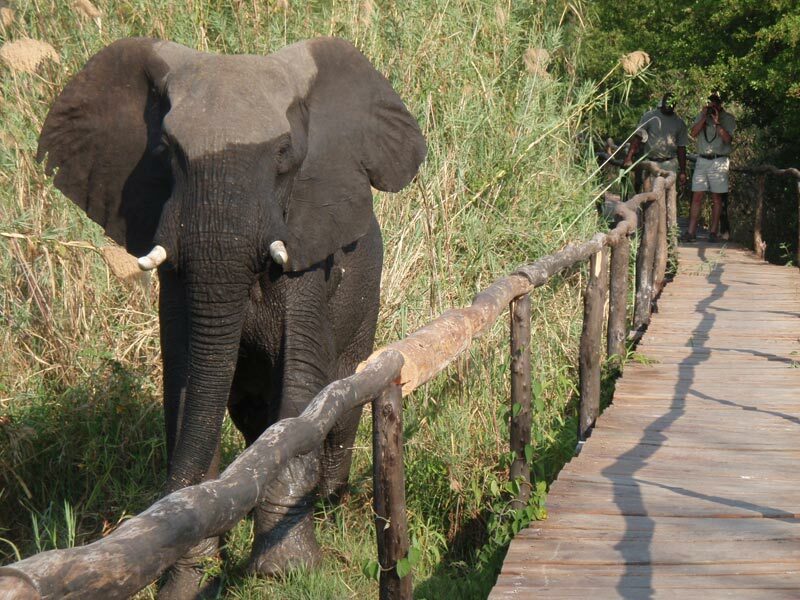 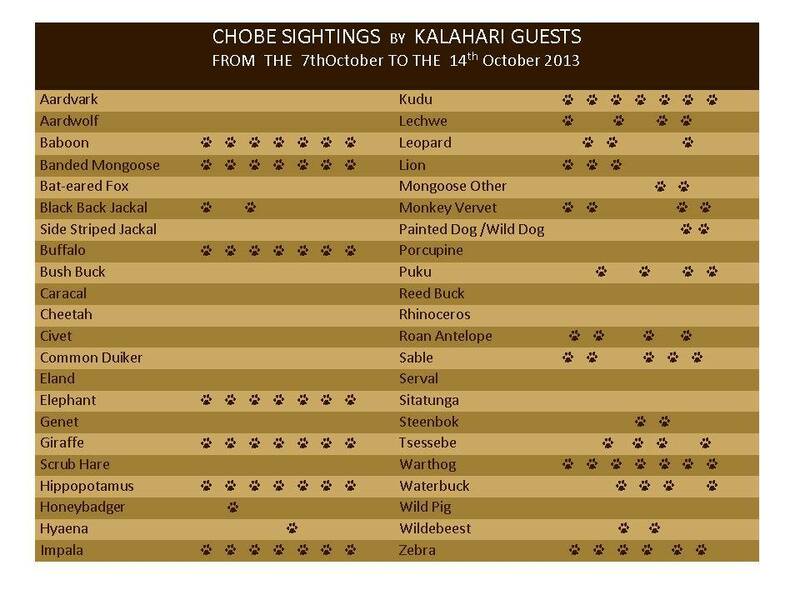 Full and Half Day Trips into the Chobe National Park is an extra activity and can be arranged at the lodge.